The Ruger Precision Rifle is one of the most innovative and exciting precision-rifle platforms on the market, and the addition of a PROOF Research carbon fiber barrel can enhance the platform and bring its performance to the next level. 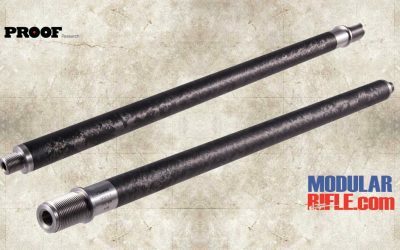 The carbon fiber barrel from PROOF Research features an internal barrel constructed with 416R stainless-steel that features match-grade qualities. The company then surrounds the barrel with its patented carbon-fiber-based matrix, which provides a number of incredible features. Barrel harmonics are improved, as well as reduced POI shift during fire. The PROOF Research carbon fiber barrel for the Ruger Precision Rifle also features a threaded muzzle with 5/8×24 TPI thread pitch, making it easy to add a number of aftermarket accessories to the gun’s muzzle. 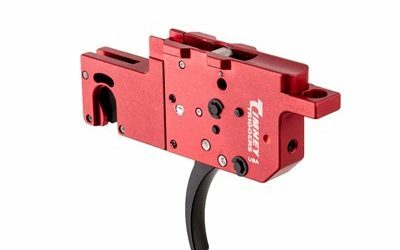 The TIMNEY RUGER PRECISION RIFLE 2 STAGE TRIGGER is a self-contained, 100% DROP-IN TRIGGER ready to install in your Ruger Precision Rifle for an exceptionally smooth, crisp, two-stage trigger pull. No gunsmithing, fitting, or adjusting required. The TIMNEY RUGER PRECISION RIFLE 2 STAGE TRIGGER features machined and hardened steel work surfaces and the sears are Teflon-nickel coated for added lubricity. The trigger housing and shoe are CNC machined using state-of-the-art robotics and the sears are EDM cut from high-grade solid steel. The trigger housing utilizes an anodized aluminum body and the trigger shoe and safety are carbon nitrided which dramatically increases the surface hardness and wear-resistance properties of the metal. 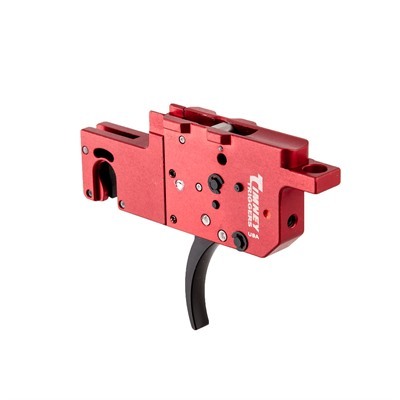 The TIMNEY RUGER PRECISION RIFLE 2 STAGE TRIGGER is also CNC machined, heat treated and coated. The sear is wire EDM cut, heat treated to 58-60 Rockwell and Teflon-nickel coated for lubricity and dependable, long-lasting service life. 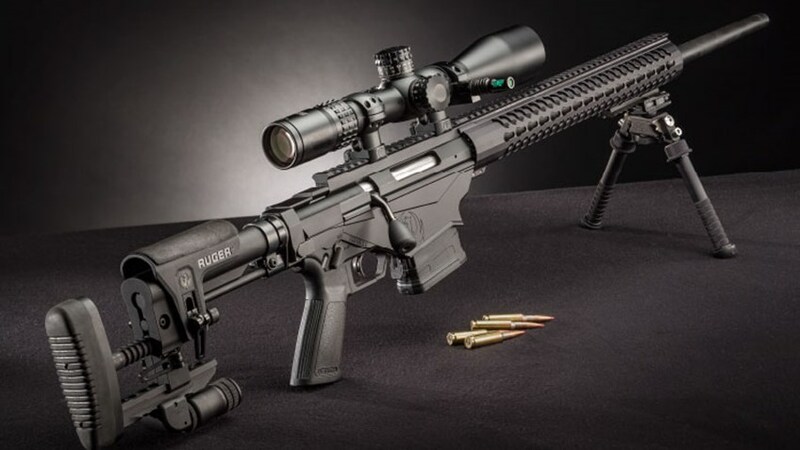 As Townsend Whelen, former U.S. Army colonel and American Rifleman contributor, was once famously quoted as saying, “Only accurate rifles are interesting.” Employing that rubric alone, the Ruger Precision Rifle is a supremely interesting firearm. And, to the company’s credit, the introduction of additional evaluation criteria such as versatility, reliability and value only make its newest bolt-action repeater all the more intriguing. 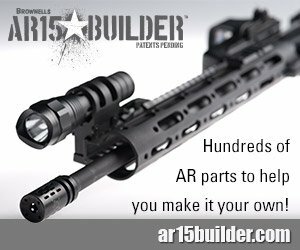 Featuring sub-minute-of-angle accuracy, the dependability of a bolt gun built on the gunmaker’s proven American action, all the modularity of the über-customizable AR-15 platform, the ability to accept a multitude of magazine types and a price tag that is a literal fraction of many of the guns it will compete against on the market, Ruger’s latest foray into the long-range precision shooting field should pique the interest of a broad range of gun aficionados. Sturm, Ruger & Co. believes that within the gun world there exists a sizeable segment of shooters who are interested in long-range precision shooting—they just have never been able to justify taking the plunge due to the typically astronomical cost of purchasing a gun designed expressly for that purpose. With an MSRP of $1,399—and a likely eventual selling price closer to $1,100—the Precision Rifle represents Ruger’s invitation for these cost-conscious gun buyers to finally enter the world of long-range shooting. Ruger Precision Rifle Profile – The Precision Rifle’s factory buttstock, pistol grip, fore-end and safety selector switch can all be reconfigured using compatible AR-15-style components—opening the gun up to virtually unlimited customization options. The Precision Rifle’s upper receiver and one-piece bolt body are CNC-machined from pre-hardened 4140 chrome/molybdenum alloy steel. The lower receiver is machined in two pieces, right and left halves, from 7075-T6 hard-coat anodized aluminum. That method simplifies manufacture, allows more precise control of machining in the magazine well and makes assembly of small components easier as they can be placed in position in one half before the other half is attached. Offered at this time in three short-action chamberings, the rifle is available in .308. Win. 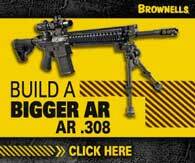 with a 20″ barrel, 6.5 mm Creedmoor with a 24″ barrel and .243 Win. with a 26″ barrel. The weights vary by chambering, but with the lightest model starting at 9.7 lbs. sans optic, the Precision Rifle is not a light firearm. The evaluation gun provided by Ruger was chambered in 6.5 mm Creedmoor and—after being furnished with a scope, bipod and stock-mounted monopod—tipped the scales at just over 15 lbs. Development of the Precision Rifle started with the stated goal of sub-m.o.a. accuracy using American Rifleman’s protocol of averaging five consecutive, five-shot groups. 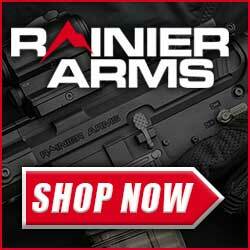 The end product managed to exceed that goal by a fair margin, as internal testing conducted by Ruger has yielded an average of 0.83″ at 100 yds using multiple guns. The sample sent to American Rifleman for testing performed even better than that, achieving an average result of 0.76″ at the same distance using three ammunition loads. Forgoing a traditional rifle bedding system, which transfers recoil asymmetrically, the Precision Rifle instead utilizes a linear recoil path to provide the greatest accuracy potential. By directing unwanted movement and vibration straight back into the buttstock, the Ruger’s in-line recoil path minimizes their potential impact on the barrel of the gun as it fires. Ruger Precision Rifle Details – The rifle’s buttstock (above left) can be locked in the folded position, allowing the bolt to be removed from the receiver. The patented Multi-Magazine Interface (above middle) allows the gun to feed from both rear- and side-latching box magazines, and the barrels are given a recessed crown and are threaded at the muzzle (above right) to facilitate the use of compensators or suppressors. The rifle’s barrel is cold hammer-forged 4140 chrome/moly steel with 5R Rifling. According to Gurney, 5R places a land opposite each of the barrel’s grooves, resulting in less aggressive upset and distortion of the bullet as it engages the rifling, thereby aiding in accuracy. The 5R design also features less sharp-edged lands than those present in conventional-style rifling, reducing powder fouling and jacket failures in quick-twist barrels. The company further optimized the Precision Rifle’s accuracy by utilizing the tightest possible chamber and groove tolerances—also taking extra care to ensure a centralized chamber and minimal headspace. Rigidly affixed to the rifle’s receiver via a barrel nut, the gun’s barrel can be easily replaced by a competent gunsmith using a barrel wrench and headspace gauges. 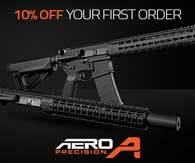 All Precision Rifle barrels are medium-contour (0.75″ at the muzzle) and are free-floated within their fore-ends. Twist rates were selected by Ruger to ensure the rifles could stabilize the longer bullets within each chambering that are most popular with long-range shooters. The barrels are threaded at the muzzle (5/8x24 thread pattern) to facilitate the use of compensators or suppressors, and come with a thread protector. A 20-m.o.a. canted Picatinny rail is secured to the top of the receiver by four screws, allowing for increased long-range elevation adjustments with the gun. Despite all that can go into accurizing a rifle design, it is often the trigger that either makes or breaks a precision firearm—after all, can the rest of a gun truly be considered accurate if a poor trigger makes taking good shots extremely difficult? Fortunately Ruger avoided this potential pitfall altogether by outfitting the Precision Rifle with its fine Marksman trigger. A lever-in-blade design with a user-adjustable pull between 2 lbs., 4 ozs. and 5 lbs., the Marksman trigger installed on our sample gun was superb—breaking crisply at 2 lbs., 7 ozs. Adjustments can be made externally with a wrench that comes integrated into the bolt’s shroud. According to Ruger, among the main reasons it selected the American action as the heart of its new Precision Rifle is the 70-degree bolt throw and three-lug bolt design. The American design provided Ruger’s engineers with a platform that was easier to manipulate from the shoulder than most 60-degree bolt-action rifles, yet allowed better scope clearance than a 90-degree action. Ruger also incorporated dual cocking cams to help make operating the bolt easier, and those familiar with the American’s smooth-cycling action will recognize the same in the Precision Rifle. An oversize handle was selected for positive bolt manipulation; however, Ruger threaded the knob (5/16x24 thread) to allow for customization. When exploring its potential use in the Precision Rifle, the Ruger engineers likewise discovered that the bottom bolt lug of the American action, conveniently located at the 6 o’clock position, was able to traverse between the feed lips of many detachable-magazine designs—making it an ideal feeding aid, as the lug helps strip the top cartridge from the magazine and load it into the chamber. Clearances in the bolt body allow it to clear an inserted magazine’s feed lips when it is rotated, and an angled section facilitates its withdrawl to the rear by allowing it to gently depress and override the top cartridge. While the project was originally intended to utilize only SR25 and Magpul PMAGs, along the way Ruger’s design team, led by Jonathan Mather, devised a method that allowed them to greatly increase the rifle’s magazine compatibility, the final result being what the company is calling its Multi-Magazine Interface. The MMI, for which Ruger has been awarded one of the gun’s seven patents, allows the Precision Rifle to operate using a plethora of both rear- and side-latching box magazines chambered for .308 Win. (.243 Win. and 6.5 mm Creedmoor cartridges will also feed through unmodified .308 Win. magazines). Examples of compatible magazines include: DPMS, M110, SR25, PMAG and AICS. Externally the MMI appears to function much like a standard, rear-latching, M14-style magazine release, but inside the magazine well a little something extra is occurring. It essentially works in two stages—once the magazine release, which is located just forward of the trigger guard, has been pressed forward far enough, a side bar is set into motion that also actuates the side latch. Simple yet effective. The gun comes supplied with two 10-round Magpul PMAGs. It is possible that some AR-10 and M14 magazines may also function through the Precision Rifle, but Ruger warns that—due to those magazines’ wider tolerance ranges and varied production histories—most will not. The rifle’s buttstock, a proprietary Ruger design that the company calls the Precision MSR, allows for up to 3½” of adjustment to the length of pull and 3/4″ of comb height customization. Both can be accomplished quickly in the field by flipping two cam levers on the side of the stock to the unlocked position, adjusting the stock to the desired settings and then tightening the levers down again. Although the process is a little more complicated, the cant of the buttpad can also be adjusted up to 9 degrees in either direction. Ruger’s factory buttstock has a left-folding hinge that allows it to be locked in the folded position; in fact, the stock must be moved out of the way in order to remove the bolt from the receiver. A bolt-release button is located on the upper left side of the receiver, and it is easily activated. The Ruger Precision MSR also comes with a soft rubber buttpad and a section of integral, bottom-mounted Picatinny rail for the installation of a stabilizing monopod. The buttstock is attached via a standard mil-spec, carbine-length AR-style receiver extension, but without the internal buffer system, allowing the bolt to travel inside the extension during manipulation. As such, the rifle can accept any mil-spec AR-compatible stocks—similarly, the Precision Rifle’s pistol grip, fore-end and safety selector switch can all be reconfigured using AR-style components—which opens the gun up to the big world of AR customization. While end users are free to remove Ruger’s buttstock and swap it out with the replacement of their choice, most shooters who are primarily concerned with getting a gun they can use right out of the box will be more than happy with the Precision MSR. The gun’s standard configuration also includes an extended-reach AR-style pistol grip, 15″ free-floating Samson Keymod Evolution fore-end and a reversible, 45-degree safety selector. If any of the rifle’s default furniture is ripe for replacement, in my opinion it’s the fore-end which—when affixed to a substantially heavy rifle like the Ruger Precision—takes on an overly aggressive texture. The gun media’s first opportunity to lay hands on the Precision Rifle came in mid-April at FTW Ranch in Barksdale, Texas, where about a dozen gun writers got the chance to put Ruger’s latest rifle through FTW’s Precision training course. When a colleague of mine learned that I would be among those invited to attend the event, he expressed how jealous he was, calling the ranch a “long-range shooter’s paradise”—which, of course, to my mind made it the ideal venue to wring out Ruger’s new long-range rifle. And after a week spent turning the ranch’s 12,000 acres and 14 ranges into my personal playground, I have no quibbles whatsoever with my coworker’s assessment of the place. After a brief introduction to the gun by Ruger and a short classroom session by our FTW instructors to brush up on minutes and mils and hold-overs, it was off into the Hill Country of Central Texas to see what the rifles were really capable of. Our evaluation guns were chambered in 6.5 mm Creedmoor, and topped with Burris XTR II 4-20x 50 mm riflescopes outfitted with the G2B Mil-Dot reticle. I found this to be a solid union of gun, glass and reticle. And after putting several hundred rounds downfield, I also came to the opinion that the 6.5 mm Creedmoor might well be the perfect chambering for this particular rifle. Like the Precision Rifle itself, the 6.5 mm Creedmoor cartridge and chamber were developed from the start with accuracy in mind. With a freebore diameter specified at 0.2645″ and bullets measuring 0.2640″, the projectiles are forced to enter the rifling with minimal in-bore yaw. The Creedmoor also produces plenty of energy (most loads hover right around 2,400 ft.-lbs. at the muzzle)—and thanks to a relatively high ballistic coefficient, will retain that energy at extended distances—yet recoils minimally enough through a gun with the Precision Rifle’s heft as to allow for all-day shooting sessions with absolutely no discomfort. During the course of the event, we exclusively used Hornady’s 140-gr. A-MAX offering, and the guns seemed to agree with that load quite well. The end result? There’s an oft-used phrase in gun circles that you have undoubtedly heard on an untold number of occasions, “This gun shoots better than I do.” Well, triteness be danged, this is nonetheless an apt expression in the context of the Ruger Precision Rifle in my hands. I’m not too proud to admit that any steel left unrung during my time at the ranch was far more often the consequence of operator error than it was of an unpredictable rifle. Prior to my sojourn to FTW, my experience with long-range precision shooting was regrettably quite limited. And yet the Ruger Precision Rifle made me look good. On the final day of our visit, the instructors took my fellow gun writers and me on what the ranch terms a “Drive Around,” which is essentially a Jeep tour of the premises, stopping at 10 locations along the way to take two shots at a steel target off in the distance. 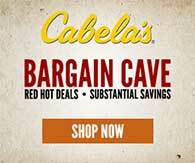 Target distances varied from 300 to 875 yds., with most resting in the 400 to 600 yd. range. Some were placed well above us on a ridge, others were positioned far below in a gorge and more still were so distant that several hills and valleys stood between us and our target. And due to the Hill Country’s rugged and sharply varied terrain, no two shots featured even remotely similar wind conditions. Despite my inexperience, I managed to connect on 16 of 20 possible targets, including the 875 yd. shot situated two valleys over from my shooting position. Now, I can undoubtedly attribute much of that result to the tutoring and expert wind calls provided by FTW’s phenomenal instructors, Doug Prichard and Larry Summerfield, but a decent share of the credit must also be placed on the rifle. In addition to tack-driving accuracy, it cycled through approximately 500 rounds of ammunition without a single feeding, extraction or ejection issue. Unfortunately, in many areas of the country it can be difficult to find adequate space to truly indulge in the sport of long-range precision shooting. The open spaces needed to really stretch a cartridge’s legs simply aren’t available to many shooters, so a lot of these folks resign themselves to the next-best alternative open to them—benchrest shooting at 100 yds. And while the Precision Rifle was made for long-distance use, it can still punch paper at closer ranges with the best of them. The first zeroed-in, five-shot, 100-yd. 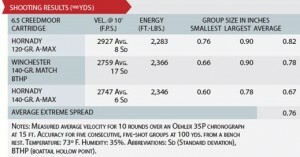 group I fired through the gun at FTW measured a tidy 0.51″, and as you can see from the tabulated results, the rifle is capable of keeping groups under an inch all day long—though, as might be expected given the twist rate, it does seem to favor heavier bullets. Reaching out and hitting a small target from a distance beyond what is clearly visible with the naked eye is an amazingly gratifying achievement. I had no idea how much I would enjoy it when I set out for the ranch. And having the confidence that you’re behind the trigger of a gun that will, if you also do your part, allow you to accomplish that feat consistently brings a level of satisfaction that defies description. The Ruger Precision Rifle is just such a gun. I’ll never forget the sense of pride and accomplishment I felt the first time I fired off a group, walked downrange and realized that I’d placed all of my shots into the same jagged hole. The Ruger Precision Rifle—offering consistent accuracy and endless customization options at a price point that most riflemen should find palatable—stands poised to introduce a whole new wave of long-distance shooters to that same rush. Sturm, Ruger & Company, Inc. (NYSE: RGR) Modularrifle.com is excited to announce the introduction of the Ruger Precision Rifle™. An all-new, in-line recoil path, bolt-action rifle, the Ruger Precision Rifle is highly configurable and offers outstanding accuracy and long-range capability. In production now, the Ruger Precision Rifle is available in .308 Win., 6.5 Creedmoor, and .243 Win. The highly accurate, free-floated barrel is cold hammer-forged from 4140 chrome-moly steel, and features 5R rifling for minimum bullet upset. The rifle is specified with minimum bore and groove dimensions, minimum headspace, and a centralized chamber. The medium contour (.75″ at the muzzle) barrel features a thread protector over the 5/8″-24 threads, which allow for the fitment of muzzle accessories such as sound suppressors. Barrels can be replaced easily by a competent gunsmith using AR-style wrenches and headspace gauges. The Ruger Precision Rifle’s “upper” receiver and one-piece bolt are precision CNC-machined from pre-hardened 4140 chrome-moly steel to minimize distortion. The three-lug bolt with 70-degree throw is easily manipulated and features dual cocking cams, and a smooth-running, full-diameter bolt body. An oversized bolt handle is fitted for positive bolt manipulation and features 5/16″- 24 threads for easy customization. 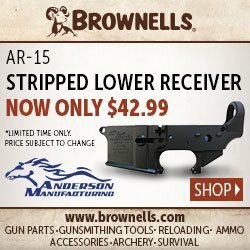 The “lower” receiver is precision CNC-machined from aerospace-grade 7075-T6 aluminum forging and is Type III hard-coat anodized for maximum durability. The magazine well front is contoured for a positive grip for bracing against shooting supports. The rifle also sports a 20-MOA Picatinny rail secured with four, #8-40 screws for increased long-range elevation capabilities. The Ruger Precision Rifle is available in three models: .308 Win. with 1:10 twist, 20″ barrel weighing, 9.7 lbs. ; 6.5 Creedmoor with a 1:8 twist, 24″ barrel, weighing 10.6 pounds; and .243 Win. with a 1:7.7 twist, 26″ barrel, weighing 11.0 pounds. The Ruger Precision Rifle is one of the most innovative and exciting precision-rifle platforms on the market, and the addition of a PROOF Research carbon fiber barrel can enhance the platform and bring its performance to the next level. 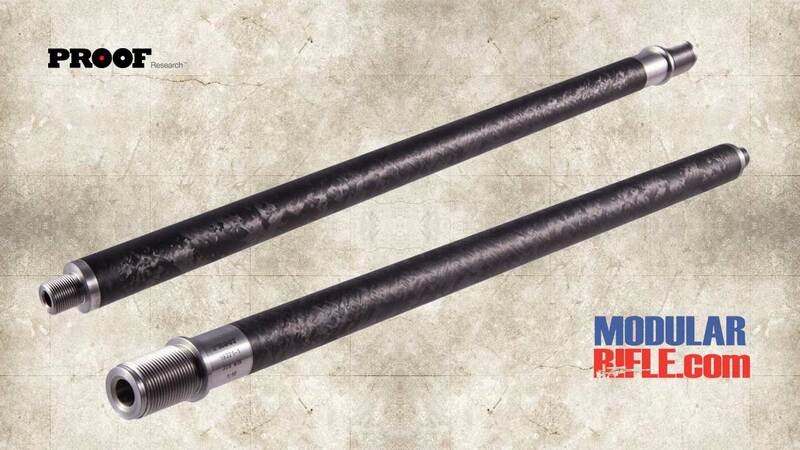 The carbon fiber barrel from PROOF Research features an internal barrel constructed with 416R stainless-steel that features match-grade qualities. The company then surrounds the barrel with its patented carbon-fiber-based matrix, which provides a number of incredible features. The barrels are 64 percent lighter than standard options. Accuracy is guaranteed with match-grade components. Barrel life is improved through enhanced heat dissipation. Barrel harmonics are improved, as well as reduced POI shift during fire. The PROOF Research carbon fiber barrel for the Ruger Precision Rifle also features a threaded muzzle with 5/8×24 TPI thread pitch, making it easy to add a number of aftermarket accessories to the gun’s muzzle. The 2-Stage trigger features machined and hardened steel work surfaces and the sears are Teflon-nickel coated for added lubricity. The trigger housing and shoe are CNC machined using state-of-the-art robotics and the sears are EDM cut from high-grade solid steel. The trigger housing utilizes an anodized aluminum body and the trigger shoe and safety are carbonitrided which dramatically increases the surface hardness and wear-resistance properties of the metal. 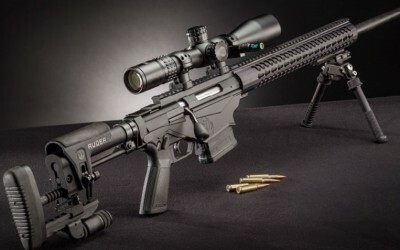 Ruger Precision Rifle Review – The Precision Rifle’s upper receiver and one-piece bolt body are CNC-machined from pre-hardened 4140 chrome/molybdenum alloy steel. The lower receiver is machined in two pieces, right and left halves, from 7075-T6 hard-coat anodized aluminum. That method simplifies manufacture, allows more precise control of machining in the magazine well and makes assembly of small components easier as they can be placed in position in one half before the other half is attached.